BIRKAN Dot-Master is a genuine all-round blanket suitable for sheetfed and carton printing as well as for metal printing. A special micro ground surface compound gives outstanding print quality with sharp dot reproduction across a variety of papers, boards, metals and printing pressures. Due to exceptional ink transfer properties, solid print densities can be achieved with reduced pressure between plate and blanket. Main benefits of this feature are reduced dot gain on the print and even dense solids. This is one of the reasons why BIRKAN Dot-Master is often applied in FM screen printing. The micro sphere compressible layer gives excellent smash resistance, thus ensuring an increased durability of the blanket‘s life. 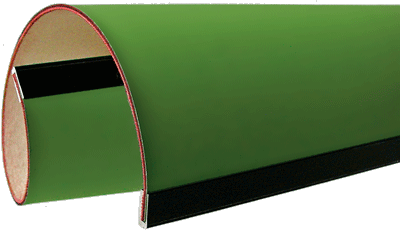 Outstanding edge cut resistance enables the use with a variety of sheet sizes without the need for a blanket change. The smooth microground surface is easy to clean and resists staining. Its special finish provides excellent sheet release, including on high speed presses.